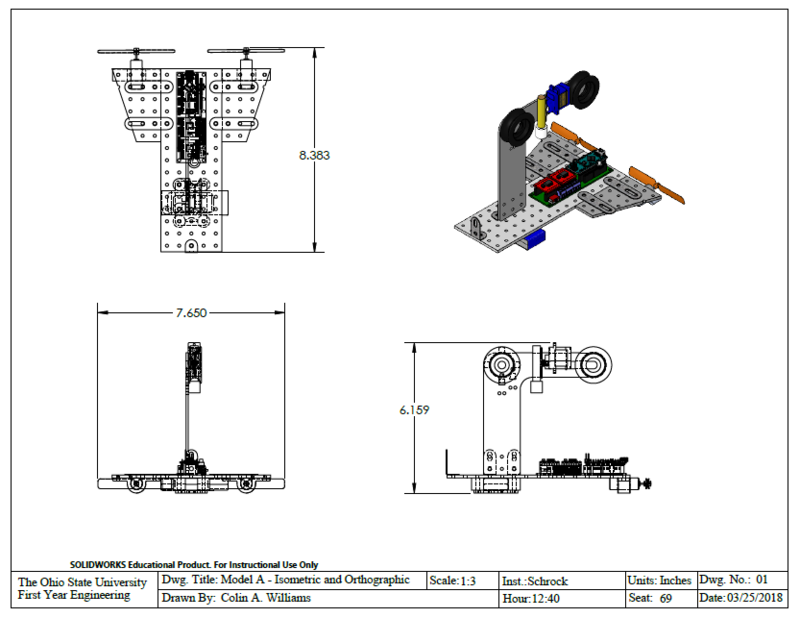 Our first design was the basic “template” AEV with a servo and braking arm and stopper added to the support arm. This design was first used to test only the servo motor. After further testing, Division R found that using flat trapezoidal wings was more aerodynamic, so the design above was used throughout most of the AEV development period. 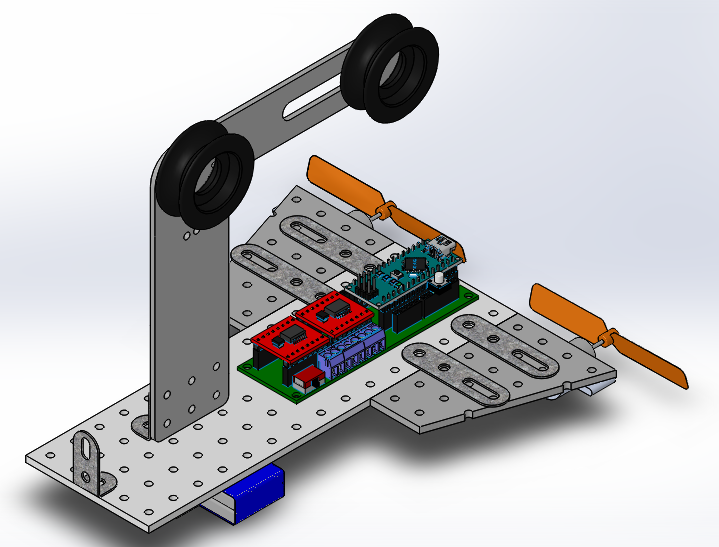 The final design the team implemented is identical to the previous design but without the servo motor and brake arm. Since the servo motor caused more problems than Division R had the time and resources to fix, the simplistic design without the servo was used for final testing.